SMS the keyword "BOOKS" followed by your name, surname and city to 33650. The Afternoon Express The Code Book Competition (Competition) will be run by Cardova Trading (Pty) Ltd in association with Shaun Tomson. Entries for the Competition will open at 17h00 on Friday, 10 March 2017 and will close at 23h59 on Friday, 10 March 2017 (Competition Period). We will randomly draw 3 (three) winners (Winners) by means of an automated system within 72 (seventy-two) hours from the closing date of the Competition. Late entries will not be considered. 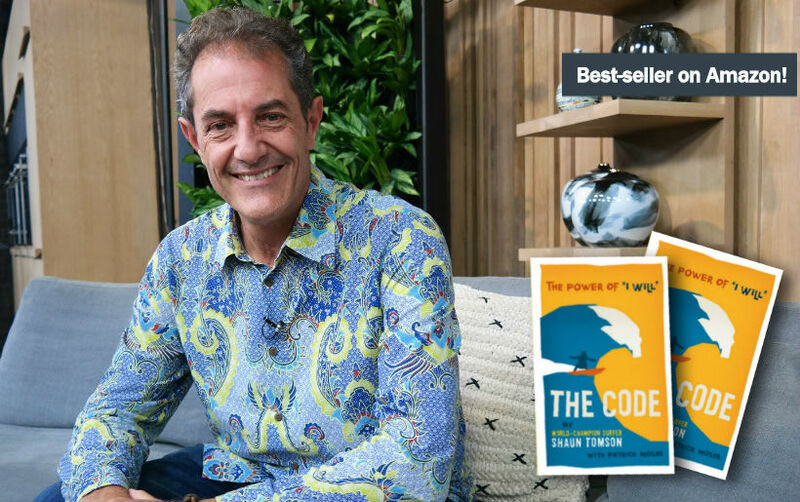 3 (three) Winners will each receive a copy of the The Code book by author Shaun Tomson. We will contact each Winner per telephone to obtain all necessary information to deliver the Prizes and the Prizes shall be delivered to the Winners at an address’ within the Republic of South Africa within 3 (three) weeks from confirmation of the Winners. We reserve the right to amend these terms and conditions within the Competition Period should it be deemed necessary at our sole and unfettered discretion.